‘Our Stour’ was features on TV! Our Stour’ was part of a short BBC documentary on the River Stour. This was aired on Monday 10th December at 7:30pm on BBC One (South East Channel). This short documentary followed the presenter- JB Gill- walking the Stour Valley Walk and interacting with numerous river related organizations and individuals along the way. 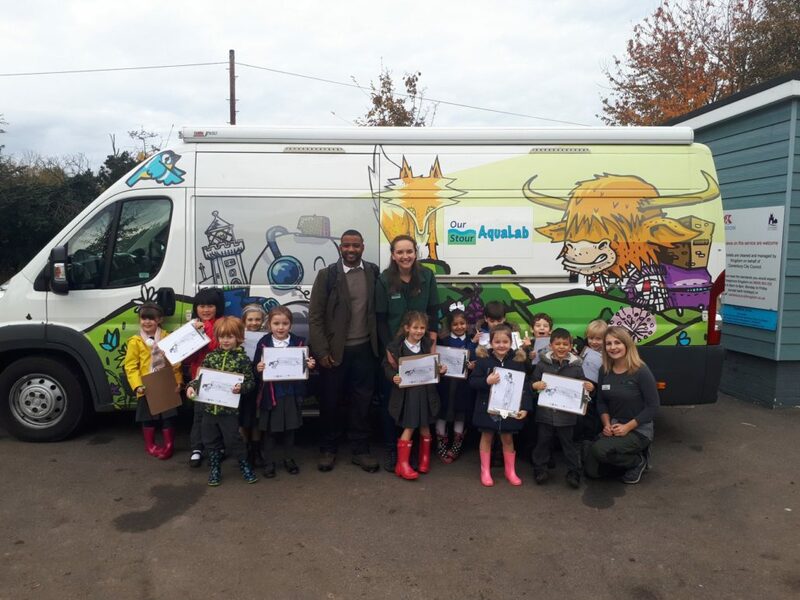 The segment featuring Our Stour focussed on JB joining in with an AquaLab river dipping activity with a group of children from St Peter’s Methodist Primary School, Canterbury. We are very grateful to have been asked to be part of this filming opportunity! ‘Our Stour’ formed part of the documentary as well as many other organizations and groups located along the Stour Valley Walk. We would love to know what you thought of the documentary!